The Oscar-winning new film Son of Saul drops us into the heart of Auschwitz. What’s the point? Dan Kagan-Kans is the managing editor of Mosaic. 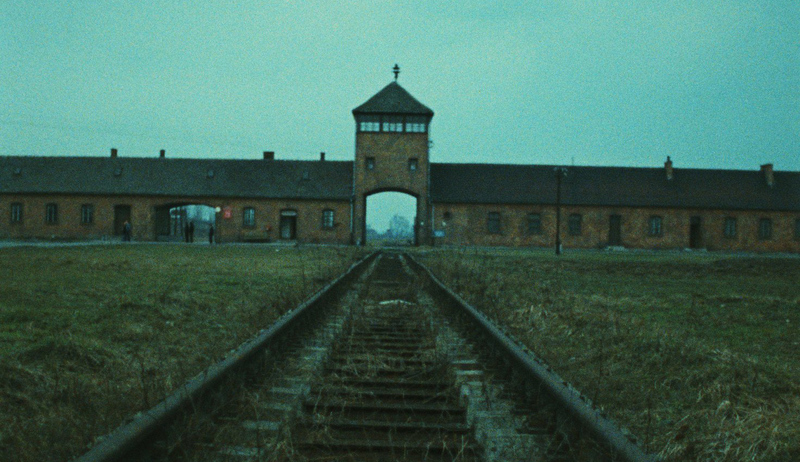 Since the defeat of Nazi Germany and the end of World War II just over seventy years ago, a seemingly ceaseless parade of filmmakers has gone after the Holocaust in search of meaning. Their searches have been well rewarded. As the critic J. Hoberman noted last year, of the 23 Holocaust films ever nominated in any category for the Academy Awards, fully twenty have won at least one. To their number we can now add Son of Saul, the new Hungarian film that on February 28 garnered the award for Best Foreign Language Film of 2015. It did so, moreover, after already being showered with greater acclaim than any Holocaust movie since Steven Spielberg’s Schindler’s List more than twenty years ago. But Lanzmann is right: Son of Saul manages to find, if not a new story, then a new way of telling it. The question worth considering, thus, concerns not its originality but the nature, and the worth, of its achievement—what its example and its reception portend for the future of art about the Holocaust. 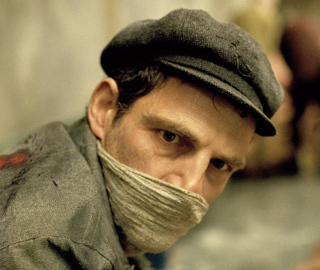 Son of Saul follows Saul Auslander, a Hungarian Jew imprisoned in an unnamed death camp resembling Auschwitz. Upon arrival at the camp four months before the film begins, Saul, in his thirties, not large but strong enough, had been spared immediate murder and was put to work as a Sonderkommando, a slave in the camp’s death-machinery. His job since then has been to guide newly arriving transports of Jews from the trains to the camp; to convince them once inside to remove their clothes in an orderly way; to usher them to a shower with promises of soup afterward; to wait impassively outside the chamber door while the screams rise and then fall; to drag out their bodies and deliver them to others who will take them to be burned; and to sort for valuables through the clothes they’ve left behind. Saul does this work with other Jews, each of whom lives in a world of his own; sometimes they exchange whispers, but since they don’t all speak the same language they don’t always understand what others are saying. Besides, what is there to say, and who can be trusted in a place where survival depends on looking out for oneself? One day, a boy, weak from the gas but still alive, is found in the chamber. He’s carried to a nearby bench and a Nazi doctor is alerted. Saul watches at a distance as the doctor suffocates the boy by hand. Bring the body up to my office for study, he orders—and the movie’s plot kicks into motion. Saul watches at a distance as the doctor suffocates the boy by hand. Bring the body up to my office for study, he orders—and the movie’s plot kicks into motion. Saul, claiming that the boy is his son—it’s left open whether or not this is true—decides he must be given a proper Jewish burial. For that he needs to rescue the body and find a rabbi, who will know the rituals and prayers of which he’s ignorant. Saul’s efforts over the course of the film’s two days lead him ever deeper into the camp’s “production” process, from gas chamber to crematorium to ash disposal and on. At each stage he must complete two tasks, one for the Germans—removing bodies, shoveling ash into the river—and one for himself—finding a rabbi amid the shovelers. A third task, related to a revolt some of the other Sonderkommandos are plotting, sometimes breaks in. Saul is clever, and able to navigate the chaos and unexpected freedom that is allowed a Sonderkommando; except for twice-daily roll calls, no single person is in constant charge of him, and as long as he keeps his head down (which he doesn’t always do) and appears to be working, he can roam a bit. The two main strands of the plot, Saul’s search and the planning of the revolt, come to a head when the Sonderkommandos receive word that they themselves are soon to be liquidated. 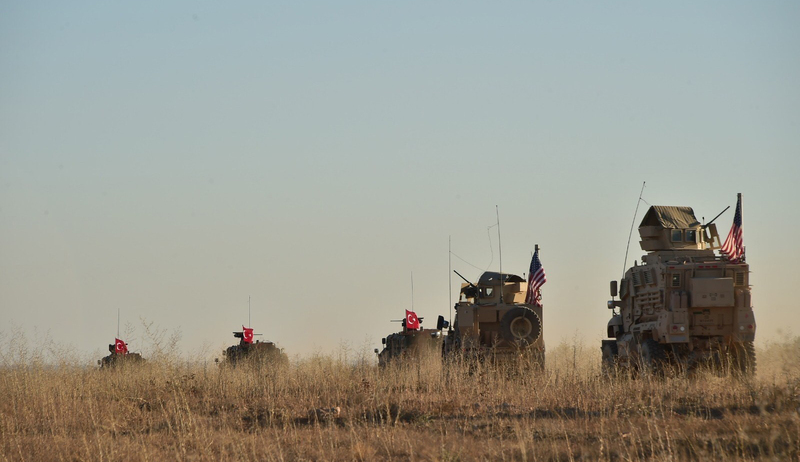 Breaking into action, they drag Saul along, sending him to collect some explosive powder that’s been smuggled into the women’s side of the camp. He bungles the job, and in the process causes the death of another Sonderkommando. Both plans begin to fall apart. The revolt fails, though it does allow a few, including Saul and a rabbi he has plucked from the latest shipment of victims, to escape into the Polish surroundings. But the rabbi turns out to be just a pretender with a beard, the child cannot be buried, and Saul loses the corpse while crossing the river. At the end, the escaped prisoners, including Saul, are found and shot. Of all the dozens if not hundreds of films about the Holocaust, Son of Saul is almost the first to focus on the Sonderkommandos; the lone exception, The Grey Zone, was a little-noticed 2001 film, also set in Auschwitz, whose plot closely resembles Son of Saul’s. It’s not hard to understand why it’s taken so long. The Nazis’ perverse system of controlling the death camps—deputizing some prisoners, the Kapos, to rule the others—raises questions of collaboration that are still debated and still retain grievous force. Many consider the Kapos, some of whom volunteered for their positions, to be perpetrators as well as victims. If the Sonderkommandos are less well-known than their notorious superiors, that is partly because so few of them survived; as shown here, they were usually gassed and replaced after a few months of duty. But their position is likewise fraught with moral complexities, and for this reason, no doubt, the movies have been leery of taking up their story, preferring to stick to the hard-edged and more readily graspable distinction between victims and perpetrators. Does Son of Saul, then, provide some new or greater insight into the Sonderkommando question? Those involved in the film have made their view clear. Geza Rohrig, the former yeshiva teacher who plays Saul, expresses not “the slightest doubt that the Sonderkommandos were not just equally victimized but more victimized.” As he put it in a press conference, “They lived in the epicenter of hell. I think they deserve utmost respect. Some of them tried to make their way into the gas chambers instead.” Laszlo Nemes, the film’s young Hungarian Jewish director and co-writer, has offered similar comments. On the basis of the movie alone, one would find it hard to disagree with their assessment. Still, it is worth noting that in his last book, The Drowned and the Saved (1986), Primo Levi argued persuasively for neither condemning nor absolving the Sonderkommandos but for withholding judgment, on the grounds that no human has the moral standing to weigh in. One finds little trace of such a position in this film. Son of Saul starts long after Saul and his fellows have taken up their tasks and thus accepted the terms of their survival; it thereby avoids the issue of how or why their choice, or forced lack of choice, was made, and portrays them throughout as unqualified victims. We can return later to the Sonderkommandos and other such issues raised by Son of Saul. 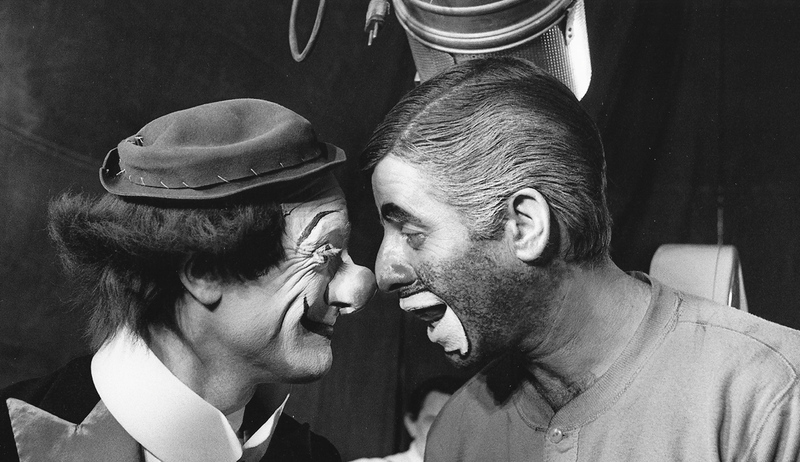 But first we should consider what—strictly as a piece of film-making—it does accomplish. For its many admirers are correct: as a piece of film-making, it is indeed something new, and something very consequential. And he’s right. With the possible exception of Auschwitz (2011), by the schlockmeister German director Uwe Boll—the movie shared a set with Boll’s direct-to-DVD adaptation of the video game BloodRayne, and was subsequently boycotted for being too exploitative—no Holocaust film has dropped the viewer so completely and relentlessly into the “action.” Other Holocaust movies have attempted to tell true stories, pay homage to the victims, document real memories, show how the Nazis rose to power. What they haven’t done, until now, is immerse. Son of Saul attempts to do for the Holocaust what Saving Private Ryan did for war: manipulating perspective and sound to create in the viewer the feeling that you are truly in Auschwitz. Nemes accomplishes this by never taking the camera off Saul. It is always either pointing at his face or following only a foot or two behind him, looking over his shoulder, drifting off to gaze curiously at some horrifying act and then swiveling back to make it clear that we are seeing what he himself sees. As Saul’s time in the camp inures him to the hourly and daily massacres taking place around him, our gaze, too, following his, turns to them only glancingly. What isn’t shown is instead heard; sound does more work in this film than in others. The combination of hearing-without-seeing puts you in the strange position of both wanting to see more than you are allowed to and feeling thankful that you can’t. In fact, Son of Saul goes a step beyond what the critics have credited it with. Such immersive techniques done so well surpass those used in typical movie thrillers, even ones as immediate and visceral (and manipulative) as those of our time. They belong instead to another, newer medium. Anyone who in the last fifteen years has played a first-person or near-first-person shooter, adventure, or horror video game (that is, a game where the player’s perspective is that of the character he is controlling)—some of the best known are Call of Duty (set in World War II), Halo (set in space), and Bioshock (set in an underwater utopia)—will recognize what Son of Saul is up to. Immediate perspective; the use of sound to signal the presence of enemies and environmental factors outside the scope of that perspective; a limited storyline surrounded by the hinted sweep of historical or faux-historical events—all such elements are reminiscent of these games. Saul is even structured, like a game, in levels, with each scene set in a new camp environment and assigning him a new task to complete. As the levels progress, they get harder, until the final task—bury the child while the revolt rages—is the most difficult of all. As in this sort of game, Saul is without much context, background, or character development—anything that could detract from the immersive feeling. There is plot, yes, but even more central is action. The overall narrative arc counts for less than the story’s individual components. There is really just the next level, the next task. This approach has its decided advantages, one of which is to help the filmmakers avoid certain characteristic missteps and clichés of the Holocaust genre. For instance, Son of Saul has none of the barely concealed aestheticizing or eroticizing of the Nazis that is found in many other such films, Schindler’s List among them. There are no clicking heels or marching jackboots; no shouts of “Jawohl, mein Fuehrer!”; no Mozart playing in the background to counterpoise and heighten the horrors on screen. Nor, as the critics have noted, does it contain any truly kitschy sentiment in the style of Life Is Beautiful, Roberto Benigni’s notoriously feel-good Holocaust movie (1997). Nor, for the most part, does it turn the Holocaust into a vehicle for a “universal” message—at least not in an obvious way. But if there are advantages to the film’s method, there are also serious costs. What has gone curiously unasked in the rush to congratulate Saul’s formal dexterity, attention to detail, and tastefully dosed-out blurts of mass murder is the question of why we should apprehend the Holocaust in this especially visceral and immersive way—the question of what it all amounts to. We can address this in stages. The world of experience depicted in Son of Saul has been praised as the reality of the Holocaust. But a few savage days in a particular death camp is not the whole reality of the Holocaust, especially when, game-like, that experience itself has been deliberately abstracted from any consideration of how such a camp came to be, of why the camp’s inmates have been sent there, of what is happening outside its walls, and so forth. Granted, no work of art can be comprehensive; by the same token, one should therefore be careful about issuing comprehensive claims. “We are in a Nazi death camp, and really in it,” A.O. Scott writes. But who is A.O Scott, and who are we, to say that we are “really” in the reality of a Nazi death camp? Nemes and his crew have spoken of the intensive research they performed in creating their film—the set, for instance, is apparently based on the blueprints of the buildings at Auschwitz—and they seem to have approached this task about as seriously as could be expected. At the same time, Nemes points with pride to his decision to strip away the accumulated weight of historical mediation in order to take us right into the center of the real thing. That, as he says, is what makes his film “unique,” and what it stands on. But without history, context, and character, how are we to judge the truth of the world-reality in Son of Saul? Nemes points with pride to his decision to strip away history in order to take us right into the center of the real thing. But how are we then to judge the reality depicted in Son of Saul? Yes, that reality definitely feels convincing. The set and the (again, game-like) tour of it that we’re given in the course of the film impart a vivid sense of the physical character of a Nazi death camp, the relative size of the rooms and buildings, the way the elements of the complex connect with each other, and so on. But in retrospect, or on a second viewing, you can’t help wondering whether, just as in a typical first-person video game, the real function of the historical set is only to anchor the otherwise fantastical plot. And then you start noticing all the other reminders that you’re watching not a documentary but a feature film; and then, once you allow yourself to entertain that distinction, you start thinking simple, unsophisticated thoughts about the impossibility of ever bringing the reality of a Nazi death camp to the screen. You start, that is, to fall into a sort of “uncanny valley” of Holocaust representation—to borrow the term that describes the sensation of unease and revulsion a person feels when looking at a computer-generated image of a human that is close to the real thing but “off” in some disquieting way. The truth is that Nemes’s Holocaust film is as contrived as the rest of them—as Scott, almost alone among critics, points out. Sometimes it’s contrived in the conventional way, as when a Nazi officer soulfully declares that “Hungarian is such a beautiful language” just before he blows someone’s head off. More often it’s contrived in different ways: from the strange, thin foolishness of Saul’s character, which seems reverse-engineered to suggest a study of the emergence, in extremity, of an inner spiritual resistance (Saul’s determination to bury the child properly), to how the plot resembles a “greatest hits” of Auschwitz trivia (the Sonderkommando revolt really did happen; a child really was found alive in a gas chamber; surreptitious photographs of the camp really were taken; and so forth). The largest of the questions are these: what are we to make of Saul’s obsession with the dead child, and why are we supposed to find it so compelling? 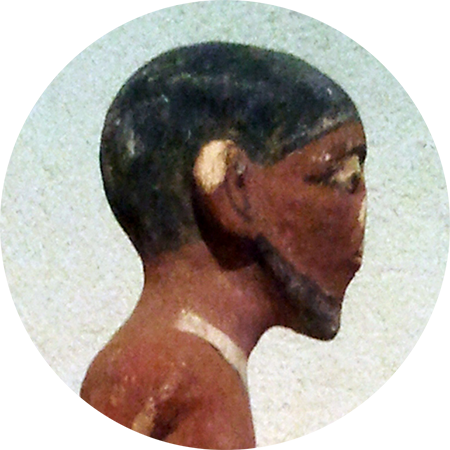 An instant after seeing the boy killed, Saul decides that the body must be saved from autopsy and cremation and properly buried. He also decides that a rabbi must perform the burial and say kaddish, the words to which Saul, who seems to lack Jewish literacy, apparently doesn’t know. As it happens, there is a rabbi in the Sonderkommando unit, and Saul, soon after he has formulated his plan, goes to see him. “Bury?” the rabbi asks, obviously struck by the preposterousness of any such idea in the circumstances. “Just say the prayer.” “I have body. Help me,” Saul responds in his broken Yiddish. “Get rid of it. Do you know the kaddish?” the rabbi asks again. Saul shakes his head no, and so the rabbi offers to do it for him: “I’ll say it. What’s his name?” Saul is silent. “There’s nothing more to do,” the rabbi implores. Saul replies in frustration, “It’s not enough,” and sets off to find another rabbi (although it is later suggested that the first rabbi has in fact made good on his offer). Indeed, at the end of the movie, in a touch of bizarre uplift just before he is shot, Saul, by now completely mad, smiles beatifically at a Polish boy whom he takes to be his son brought back to life. “A single, desperate act of moral survival,” Justin Chang in Variety calls it. What is not made clear in the film—are the filmmakers aware of it? they must be, and yet—is that you don’t need a rabbi to bury a Jewish body, and you don’t need a rabbi to say kaddish. But what is not made clear in the film—are the filmmakers aware? they must be, and yet—is that you don’t need a rabbi to bury a Jewish body, and you don’t need a rabbi to say kaddish. A rabbi is not a priest. Properly tending to a Jewish corpse does not require priestly supervision. Saul himself may not know this, at least at first, but he is so informed by the rabbi and other Sonderkommandos, who repeatedly tell him that what he’s doing is unnecessary, and that he should stop. Their exact reasons for saying this are—purposefully?—left unarticulated, though again the suggestion is that the rabbis and his fellow Sonderkommandos are craven, and holding back. One might instead reasonably imagine them explaining to Saul in explicit and convincing terms just how dispensable his quest is. But then there would be no film. Another contrivance, then. Anyone alert to it—to the misrepresentation of Jewish death-and-mourning practices in a movie boasting meticulous research of details—and also mindful of the fact that we’ve already seen Saul causing several Jewish deaths along the way, might plausibly interpret his behavior in this instance as less righteous than foolhardy or maniacal, if not fraudulent. But his creators have by this point set up their parable, according to which an individual’s (Saul’s) spiritual resistance occupies a higher moral plane than collective physical resistance (the planned revolt), and within the terms of this empty, not to mention somewhat Christological, scheme, the character of Saul has been trimmed to fit the role, however incongruous and unearned, of a holy being, a “saint,” in Nemes’s term. These are issues of substance. Let’s return now to the related but distinct issues of form, on which the film stakes its reputation and its legacy—and which, given the subject matter, are more than technicalities. 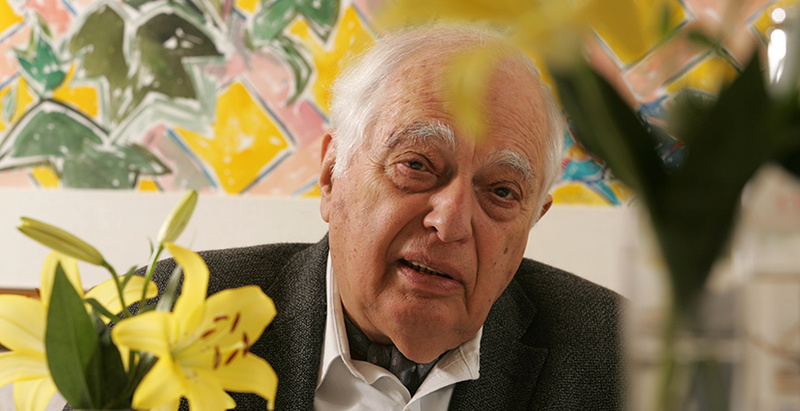 The debate over the creation and reception of works of Holocaust art, starting with the social theorist Theodor Adorno’s pompous and false maxim about no poetry being possible after Auschwitz, is so established by now that one would have expected a heated discussion to have sprung up about Son of Saul’s immersive approach, as one did about Boll’s Auschwitz and as one has done every time someone decides to create a Holocaust video game. (Several have been announced; none has come to fruition.) But no such discussion has arisen. 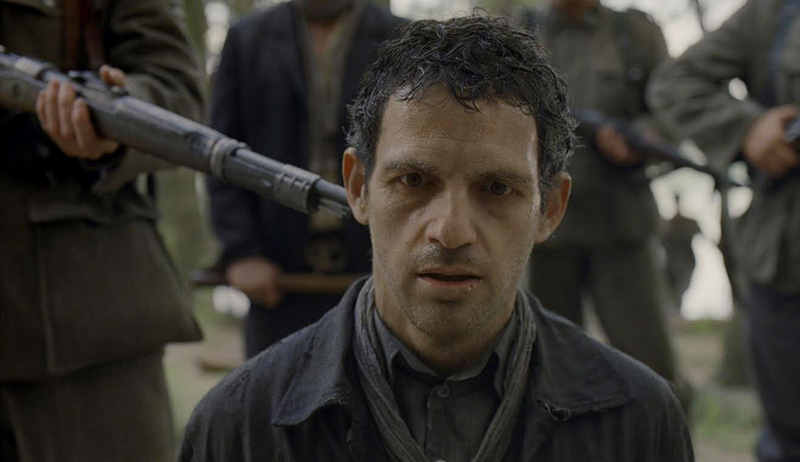 Some sharper critics have gestured in passing at the ethical issues involved in representation of the Holocaust, but almost none has dug into the subject, and none has picked up on the fact that the ethics with which Son of Saul confronts us are not only those of representation but also those of immersion. You might say it’s hard to blame them, because until Son of Saul the issue of Holocaust “immersion” hardly existed. But exist it does and exist it will. Son of Saul arrives at a time when the arts and entertainment industry, not satisfied with 3D, is pouring money into the development of new forms of immersive, virtual-reality cinema and video games. We’d be kidding ourselves if we thought these technologies won’t eventually be applied to the Holocaust—which means that the questions raised by Son of Saul, and the model that it sets, will likely be with us for a long time. So it’s worth pausing over them a bit. Son of Saul arrives just as the entertainment industry is pouring money into new forms of virtual reality, which means that the questions it raises will likely be with us for a long time. 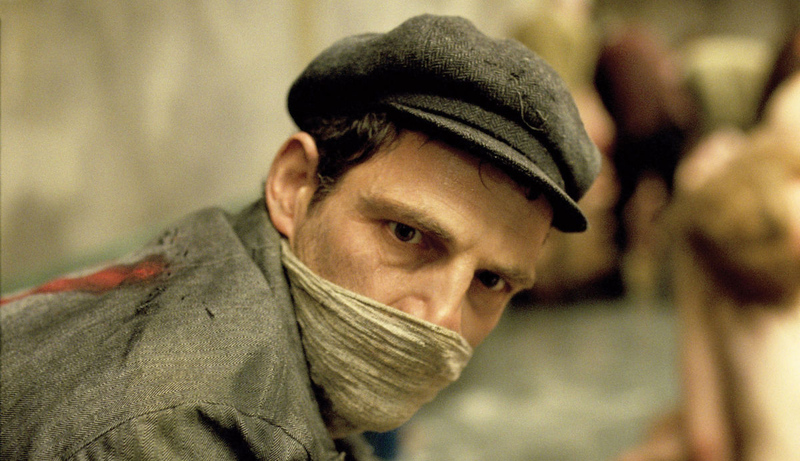 Are all of us then under compulsion to view Son of Saul once a year in order to reassure ourselves that we feel the Holocaust as the victims felt it, thereby absorbing its lessons and equipping ourselves to remember it and protect against its recurrence? The idea is at once meaningless, trivializing, and meretricious—empathy gone grotesquely too far. It’s nothing more than an updated version of the shameless Holocaust-reenactment exercises imposed on American middle- and high-school students in the 1970s and 80s. At the time, a favorite such simulation exercise, complete with role-playing uniforms and the requisite dollop of cabbage soup, went under the title of “A Day in Auschwitz”; thanks to the wonders of technology, the entire ritual can now be accomplished reclining in an armchair with a DVD in a mere hour-and-three-quarters. And soon—very soon, if news reports are to be believed—we may be able to dispense altogether with the armchair and the DVD in favor of a game room full of tracking chips and an Oculus virtual-reality headset. What then? The temptation for ambitious young video artists to try their hands at the Holocaust, armed with Nemes’s contention that this ultimate human and metaphysical subject has become too remote and must be brought screaming back to life, will continue to be very great. So, too, to guess from Son of Saul’s welcome, will be the rewards. In theory such a project is not only conceivable but as defensible in its own terms as any other devoted to the Holocaust; the medium of the video game does indeed have the capacity to quicken the aesthetic and moral imagination. But Son of Saul is not that project, and neither will be any that follows in its footsteps. To stake a serious claim on our attention, such a work would resemble not a first-person shooter but something at once more abstract and more expressive, perhaps like the famous Flower (2009), a textless and dialogue-less game about the shifting effects of petals floating on a viewer-controlled wind. What exactly it would look like and how exactly it would work, who knows. The important thing is that it would focus not on what the Holocaust felt like but on how to comprehend it, not on the experiential and immersive à la Son of Saul but on the imaginative, intellectual, and moral. Simply to immerse oneself in the mechanics of Auschwitz—what is the point? There is none. Even Son of Saul’s makers, in their awkward itch to moralize, however inaptly, acknowledge as much. Judgment, as ever, is all. 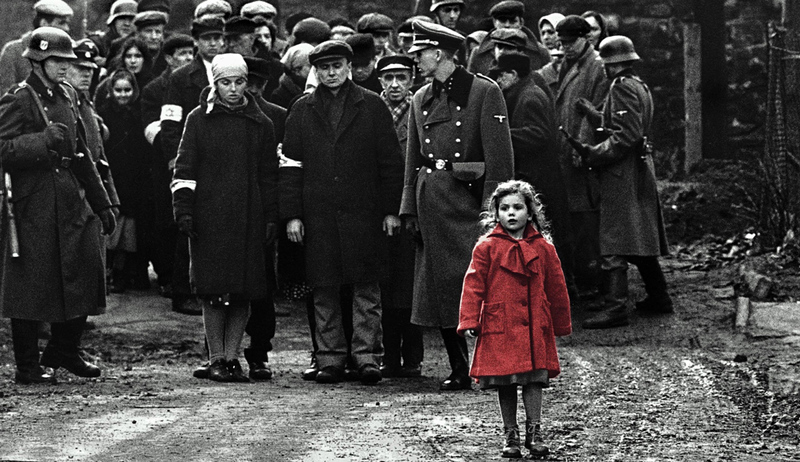 Are All Holocaust Movies Doomed to Fail?